As exciting and efficient as motorcycles may be, they also have the potential to cause serious bodily injury to riders when they are involved in accidents. According to data published by the National Highway Traffic Safety Administration (NHTSA), there were approximately 82,000 motorcyclists injured in accidents in 2010 alone. Motorcyclists do not enjoy the same protections of a vehicle body that other motorists do, and can easily be thrown from their vehicles in the event of a collision. As a result, motorcyclists are at a significant risk of injury when they are involved in accidents. Fortunately, Pennsylvania law allows people who are injured in motorcycle accidents caused by negligence to recover for their injuries by filing a personal injury claim. It is extremely important, therefore, for anyone who has been injured in a motorcycle accident to discuss their case with an experienced Pittsburgh personal injury lawyer as soon as possible. After a motorcycle accident, an experienced Pittsburgh personal injury lawyer will be able to review the facts of your case and determine whether any evidence of negligence exists. There are many parties who could potentially be held liable in a motorcycle accident case, including vehicle drivers, vehicle manufacturers, government entities, and other motorcyclists. Because of the potential complexities involved in motorcycle accident cases, it is important for victims to discuss their case with an attorney. Neurological injuries, spinal cord injuries. The injuries that a person can sustain in a motorcycle accident have the potential to cause long-term medical complications that may result in significant medical expenses and the need for ongoing care. In addition, victims may be left with disabilities that keep them from working or even living independently. As a result, it is extremely important that victims ensure that their rights are protected by discussing their case with an experienced attorney as soon as possible. Victims of motorcycle accidents caused by negligence may be able to obtain significant financial compensation. 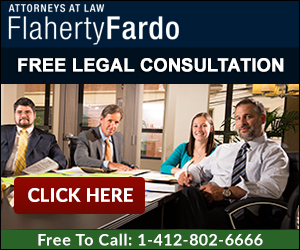 To schedule a free consultation with one of our experienced attorneys, call the Pittsburgh firm of Flaherty Fardo today at (412) 802-6666.